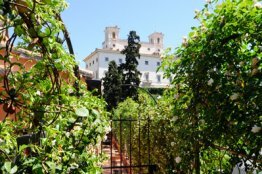 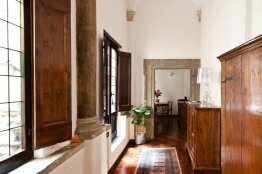 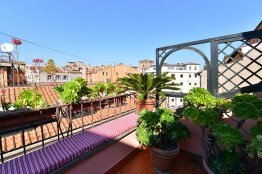 This Spanish Steps elegant apartment is located on Via Margutta. 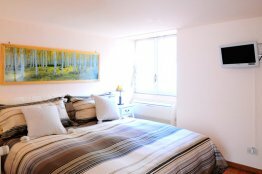 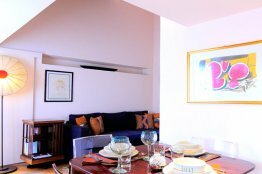 Spacious and comfortable, this apartment features an independent entrance. 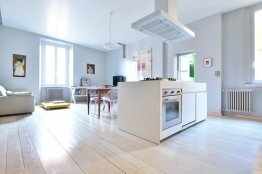 It meets all your modern day living needs, with a cozy touch. 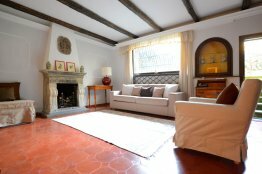 On the first floor, this fully furnished gem features three bedrooms, and two bathrooms (one with bathtub). 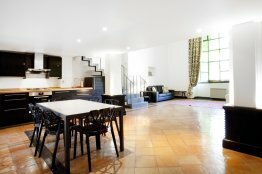 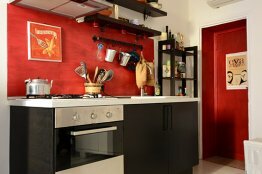 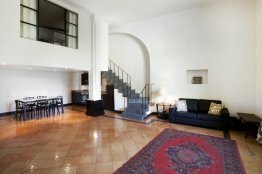 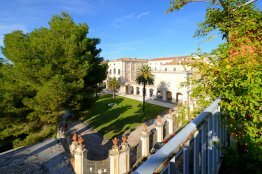 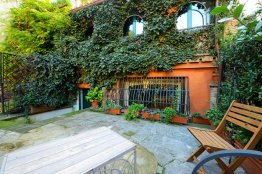 You will find this elegant terrace apartment for rent in Rome in a great location. 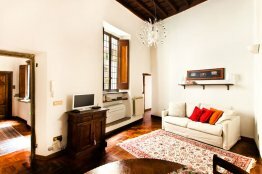 It is in one of the most exclusive and peaceful streets of the city center: Via Margutta. 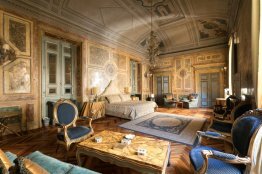 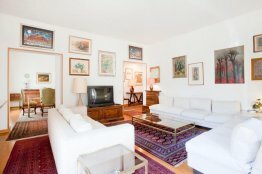 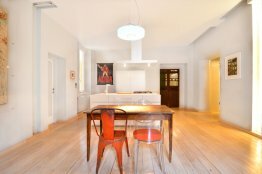 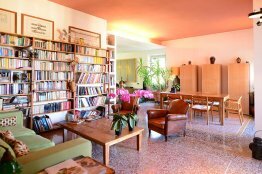 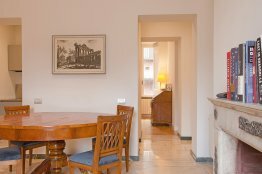 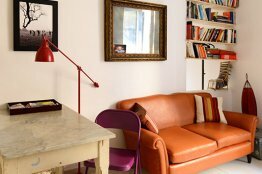 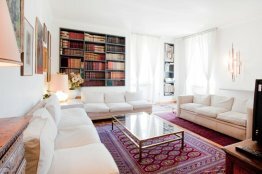 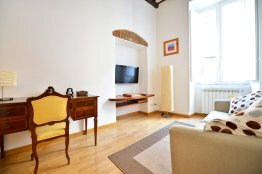 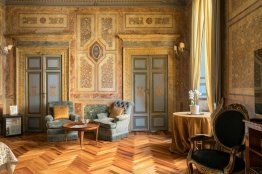 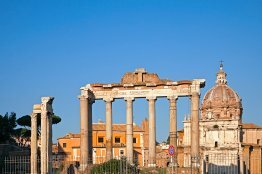 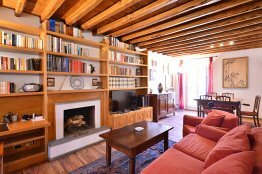 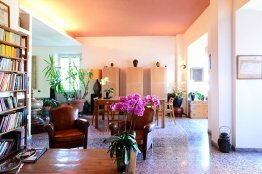 This elegant Rome apartment for rent is perfectly located in a quiet and residential area. 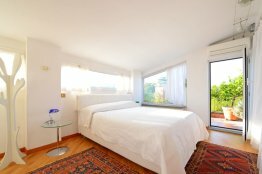 From the windows of the apartment, you can admire beautiful views over Rome.